There are some real buttmunches out there. 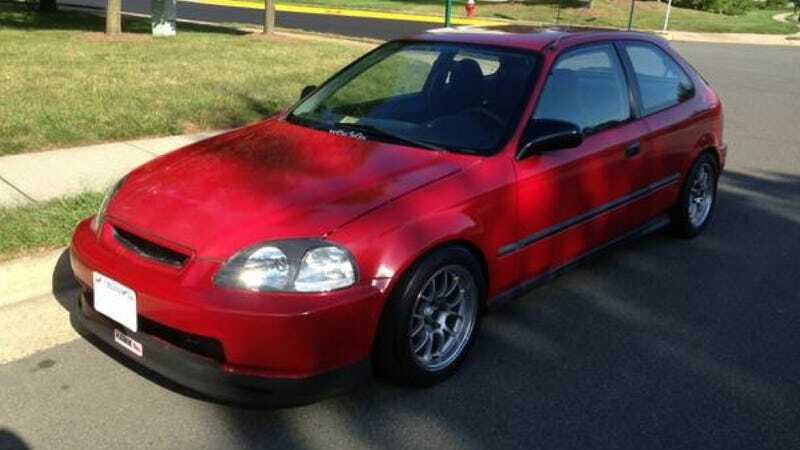 Case in point: This K24/K20 swapped Civic was stolen in Leesburg, VA on Sunday night, just after it went up for sale. Let's help find the car. The car, a 1996 Civic DX, is obviously well cared for and modified rather tastefully, with some suspension work, wheels, and a pretty stock interior. There is also some power under the hood from the Frankenstein swap of a K24/K20 melded together. This is our type of car. I've been told that the owner is a NASA and SCCA participant and all-around good guy who just wants to sell his car, presumably to get onto the next project. The Civic is on VA tag XHJ-2535. If you have any ideas on the whereabouts of the car, contact the Leesburg Police at 703-771-4500.